Enter your email address to download for free! Croatia is an up-and-coming summer destination, attracting tourists from all over the world to its historic cities and beautiful beaches. 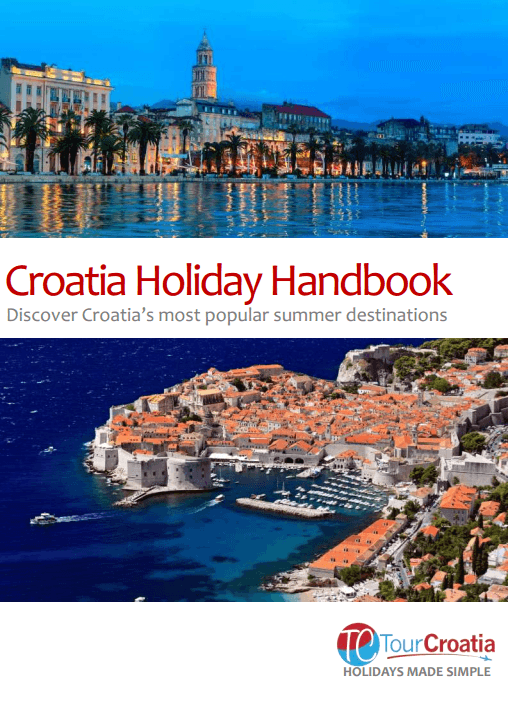 This is a free guide to Croatia’s most popular destinations – discover magnificent Dubrovnik, historic Split, sunny islands of Hvar, Korčula, Murter and Krk, exciting Zadar, Ancient Pula and more. Over 17 chapters, this free guide gives you an overview of the best things to do and see in each destination along the Croatian coast. From rafting through the emerald Cetina River​, kayaking around the Dubrovnik city walls to exploring the Game of Thrones filming locations and the beautiful Krka Waterfalls National Park, this country offers something for everyone. Foodies will love our chapter on Croatia’s local cuisine – read about the most delicious dishes from Dalmatia and how they’re prepared.